I recently came across this article, published in Volume 40 of Library Journal in 1915. The article, written for librarians obviously, explains the problem faced by libraries in areas with large populations of Jews. The problem addressed is the large variation in names among Jews, something well documented elsewhere but interesting in this article for its practical purpose (signing up library patrons) as long as you can excuse its casual racism. One interesting item is the mention of the Brownsville branch of the Brooklyn public library building a Jewish name index to use to solve this problem. I’ve contacted the library and am waiting to hear back if they still have a copy of the mentioned index. That would be an interesting document to see. To understand properly the problems arising in the registration file of a library composed largely of Jewish readers, it is almost necessary to know something of the history of the Jewish language. Before showing how these differing nationalities and dialects have affected the names of our foreign Jewish population, a word must be said about the names themselves. A good story is told of the origin of names. Adam and Eve were assigning names in Eden, and after finishing with the plants, birds and beasts, finally came to men. As these filed by names were given them, Brown to this one, Sherman to that, Goldberg to the next and so on. Eve at last became tired, and seeing a long line still coming, she turned wearily to Adam, and said, “Let’s call all the rest Cohen.” And this accounts for so many Cohens. Though surnames were not unknown among the early Jews, they were not common, even as late as the eighteenth century. In 1787, however, Austria and Bohemia compelled the Jews to adopt surnames, which, until 1836 in Bohemia, were restricted to Biblical names. Napoleon in 1808 also compelled the Jews of France to adopt surnames and limited the free choice of names. Therefore, names of Biblical origin are naturally most numerous, such as Aaron, Cohen, Levy, and their variants. Then came names taken from localities, as Berlin, Hollander, London, the larger proportion of these being German. Next in order were names taken from their trades or occupations, as Schneider, in English Taylor, Goldsmith, Scherer and the like. Some called themselves from their fathers Abramson, Isaacson; while some, I understand, even bought theirs from their Christian neighbors. With this enforced adoption of a surname, there is, of course, no feeling attached to it, nor any pride or sentiment such as we feel in connection with a long ancestry. Among the Jewish immigrants here in New York we have representatives from all Europe, and as is natural, a name will vary with the different countries and dialects. Take, for example, the most usual surname of European Jews as given in the Jewish Encyclopedia Cohen. It is the Hebrew for “priest,” and indicates a family claiming descent from Aaron, the high priest, therefore of the ecclesiastical class, as Levy indicates the middle class, and Israel the common people. “Cohen” is the usual transliteration in English-speaking countries, but Cowan and Cowen also occur. Russia has a form Kagan and Kogen, which will be explained later, with Cahan, Kahana and others; Italy has Coen; France, Cahn, Caen and others. There are many variants, as is shown by the following sample taken from the library registration file. Cohen — Cahan, Cahn, Choen, Coan, Coane, Cogan, Cogen, Cohan, Cohn, Cohon, Cone, Coun, Cowan, Cowen, Coyne, Kagan, Kahan, Kahn, Keohan, Koen, Kohen, Kohn, Kohne, Kowen, Kuhn. While the country and the dialect form one cause of confusion in names, transliteration is a great factor. One or two examples of transliteration from the Russian will show more clearly than any explanation can do how difficult it is to transliterate, and what a part the dialects play. Take the well-known names of Dostoyevsky, spelled also Dostoieffsky and four other ways, and Turgenieff, also spelled Turgenev. These are all from reliable authorities. Which is correct ? When doctors disagree, who is to decide? The Russian v is pronounced as English /, the w as v. A common ending of Russian names, wits may be vitz, witch, vitch, wich or vich. Unlike our dialects of North, South and West, where with one spelling we pronounce certain words differently, in Russia each district has its own spelling corresponding to the pronunciation. In one district the name of Nudelman, in i another is spelled Needleman; in the first case the Russian vowel can be transliterated or oo, in the last as ee or ie. Russian also has one equivalent for both the English g and h, so a distinctly Russian name as Hirshkowitz may also be Girshkowitz, and as we have seen, Cohen may become Cogen. Let us trace other variations in that one name Hirshkowitz besides the g and h. Substitute e for i, sch for sh, and any of the above forms for wits, and you have forty-eight ways of spelling that one name, to an almost hopeless confusion in our registration files. Yiddish has its difficulties. Take Cohen again for an example. In the Yiddish spelling the first letter may be transliterated either c or k, the second a or o, the third h, and the last n (Cahn or Cohn, Kahn or Kohn). As vowels are rarely employed except to help the beginner, the e can be supplied or not, and can be put in any place. Add to this the variations due to country and dialect, and as has been shown, we have over twenty ways of spelling the name. Who wants to collate Cohen in twenty places in a registration file? And I leave to your imagination the variety of ways in which the vowel sounds can be written in English from the sound alone, especially when pronounced by the uneducated foreigner with his poor enunciation. His ignorance and the carelessness that goes with it are other great factors in this confusion of names. 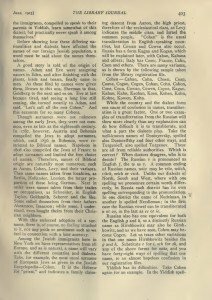 Mr. Solis-Cohen says, more especially of the Russian Jews: “Not many more than two adults in fifty will always spell their own names the same way, and for every member of a family to spell the family name alike is unusual. This happens chiefly because people think of the name in their vernacular and the way it is transliterated cr translated is an unimportant detail. Moreover, when they first arrive and begin to learn our characters, they spell their names phonetically, not becoming acquainted with the vagaries of English spelling until much later. With children, much of the trouble is due to Anglicizing a foreign name, e. g., changing Rosinsky to Rosen, and to the carelessness of the school teacher, who insists that a child spell his name a certain way without first discovering how his father spells it.” I may say here, however, that it is sometimes impossible to find out how he does spell it. It may be that six months ago he spelled it one way and to-day, having no occasion to write it in English meanwhile, he will have forgotten how he did spell it and will use a different form. When asked which way he prefers he will shrug his shoulders and say : “It makes no difference ; it is all the same.” “All the same” we would like to know his choice, and it is often left to us to decide the form. Help has come to the schools, as for the past two years they have required birth certificates at the time of registering. Many foreigners have to send to their native countries for them, and through these some queer mistakes have come to light, mistakes that were made at the immigration station when arriving in this country. Here is one. Two children of a family were registered as Isaac and Jacob, but when the birth certificate came it was found the elder was Jacob, and he had been using his brother’s name all these years. It is almost unbelievable that the parents should not have known the names or were careless enough to allow the change. Such changes of names, and especially a change of surname, is probably due to the confusion attendant on landing in a strange country. The foreigner is ignorant of the language, the official is obliged to enter hundreds of names, names enunciated very poorly, and which the immigrant cannot spell in English, if at all, and so, with no time to patiently question the man, the nearest name sounding like the one pronounced is given him. With the respect for official authority, which the immigrant feels he must obey, he accepts the name without question and not until months later, when he has learned somewhat of the language and customs of the country, does he realize he can return to his own name. And he does so without notice to the proper authorities or with any thought of wrongdoing. Poor enunciation, someone has said, is a racial characteristic of the Jews, though with care it can be overcome, as faults of pronunciation can also be corrected. The Lithuanian Jews cannot pronounce sh or sch they say s, as Savinsky for Schavinsky while the Roumanian Jews are like the London cockney in the use of h, Eller for Heller, Hoberman for Oberman; but children brought up in this country can pronounce these sounds. When there is intermarriage between these two countries, the children of the family will use both or either, and spell as they pronounce. Other cases could be given, but I think these are enough to show some of the causes of confusion in names, and how few people really have any intention of deceiving when they change the spelling. Where deception is met with, it is usually a deliberate translation, as from Schwartz to Black, or they change to a very different name, as. from Raflowitz to Cohen. Some have a different name at home, to what they have, say, registered at the gas company. One child recently could not remember whether her card at the library was under her own or her “gas-meter” name. There is one peculiarity all should know. “Junior” is so rare that you could say it is never met with. It is not customary to name a child for father or grandfather if either is living; they think it brings bad luck. If, therefore, a child gives his name the same as his father it is best to question him carefully. Among the poorer classes they seem to have no idea of the value of a signature. Time and time again parents, almost invariably those who cannot write English or cannot write at all, when they come to the library to endorse their child’s application, will tell the child to sign for them. And I should say most o*f these are the women. A borrower leaving this country to return to his native land will bequeath or sell his library card to a friend, who, upon the expiration of the application, will renew it, signing the friend’s name. And he will do this all in good faith. 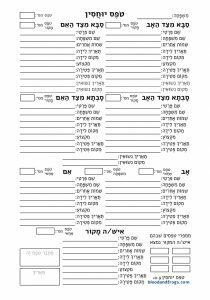 These and many more are the problems to be met with in a Jewish registration file, and probably similar ones are to be found among other nationalities. At the Brownsville branch of the Brooklyn Public Library, as an attempt to meet this problem, they are using the group system of filing instead of the strictly alphabetical one. 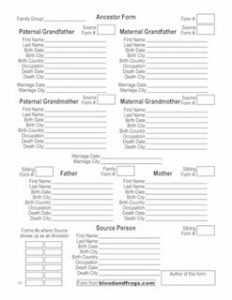 All variations of a name are filed, as a rule, under the most common form, with cross references and extended forms directly after the simple or root name. An index of all the names is being made in the form of the A. L. A. index to subject headings, using “See also,” or, rather, “Collate with,” in cases where names are similar, though they are not put together in the application file. Great care has to be used in this grouping not to carry it too far. Names that in a Jewish neighborhood have been found interchangeable, as Black and Blake, in a strictly American one would never be considered the same and should not be put together. Each library, therefore, has its own problems to deal with in its own way, and this is only an attempt at solving the Jewish one. Coll. with: Scheinberg, Scheinhaus, Scheinman. For all articles on Jewish names from this site, go to the Names page.